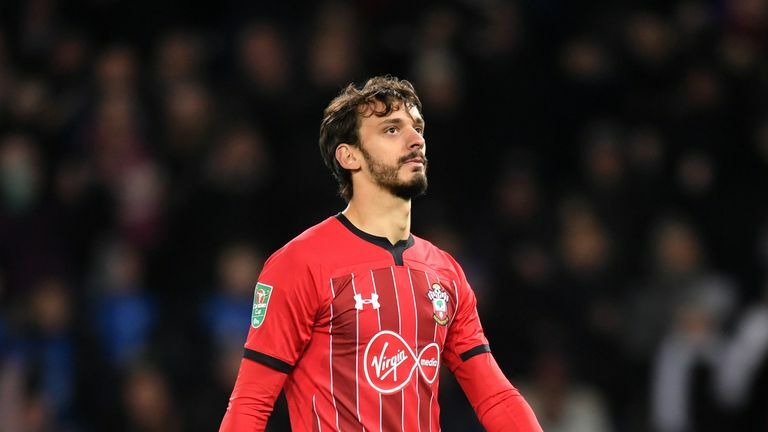 Southampton manager Ralph Hasenhuttl believes Manolo Gabbiadini's impending switch to Sampdoria will prove the best solution for everyone. The 27-year-old forward is set to return to his native Italy, and is expected to sign a four-and-a-half year deal worth £1.35m (€1.5m) annually. Gabbiadini joined the Saints from Napoli during January 2017, but found his first-team chances limited this season under former boss Mark Hughes and scored just once. "He is a good player, fantastic technique, but I think with this intensive pressing system we try to play, it is not his way, so it was better to find a solution which is better for both sides," Hasenhuttl said ahead of Southampton's fixture with Leicester on Saturday. "It is a good step for him to go back to Italy, I wish him all the best. I am sure he can score goals at every club in the world, but we try to go another way and for that we need other players." Hasenhuttl says Southampton are aiming to bring in a replacement for Gabbiadini this month, but they are looking for a player for the long term. "We are looking to bring someone in this transfer period, but it is not easy because in winter you must find a guy who not only for a short-time makes us better, but also for long term," said the Austrian, who was appointed at the start of December. "I only want to take a transfer for the future, which is also helping us for the longer term, that is what I want to see. Transfer Talk: Is Suarez Arsenal's answer? "It is better to make it as soon as possible, but it is not so easy in the winter break." Hasenhuttl added: "We don't want to be hurried. We will take time, think about it and if you are 100 per cent sure this guy makes us better, then take the decision, not earlier."